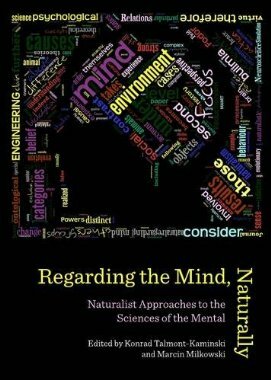 We are happy to announce the publication ofRegarding the Mind, Naturally: Naturalist Approaches to the Sciences of the Mental, edited by K. Talmont-Kamiński and M. Miłkowski (Cambridge Scholars Publishing 2013). The book is a collection of papers written mostly by regular participants of KNEW, yearly philosophical workshops organized by the volume’s editors under the aegis of the CPR. The contributors include: Marcin Miłkowski (CPR), Samuli Pöyhönen, Mark Alfino, Alvaro Moreno, Paweł Grabarczyk (CPR), Markus I. Eronen, Panu Raatikainen, Witold M. Hensel (CPR), Jonathan Knowles, Tadeusz Ciecierski (CPR), Dimitris Platchias, Jaime Gomez Ramirez, Krystyna Bielecka (CPR) and María J. Frápolli. Naturalism is currently the most vibrantly developing approach to philosophy, with naturalised methodologies being applied across all the philosophical disciplines. One of the areas naturalism has been focussing upon is the mind, traditionally viewed as a topic hard to reconcile with the naturalistic worldview. A number of questions have been pursued in this context. What is the place of the mind in the world? How should we study the mind as a natural phenomenon? What is the significance of cognitive science research for philosophical debates? In this book, philosophical questions about the mind are asked in the context of recent developments in cognitive science, evolutionary theory, psychology, and the project of the naturalisation. Much of the focus is upon what we have learned by studying natural mental mechanisms as well as designing artificial ones. In the case of natural mental mechanisms, this includes consideration of such issues as the significance of deficits in these mechanisms for psychiatry. The significance of the evolutionary context for mental mechanisms as well as questions regarding rationality and wisdom are also explored. Mechanistic and functional models of the mind are used to throw new light on discussions regarding issues of explanation, reduction and the realisation of mental phenomena. Finally, naturalistic approaches are used to look anew at such traditional philosophical issues as the correspondence of mind to world and presuppositions of scientific research.